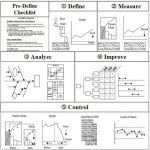 In this post, we’ll cover the final phase of the DMAIC Methodology in Six Sigma, Control. 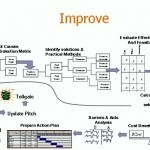 If you recall, the Improve Phase of DMAIC focused on implementing the practical solutions to the root causes identified in the Analyze Phase of DMAIC. In this phase of DMAIC, Control, we focus on verifying whether or not the changes we made in Improve led to the expected changes. Part of the Control Phase is also verifying how much improvement was made, if any at all. How do you know the problem has been reduced? How do you know that the problem will not come back? 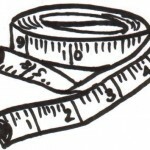 How do you know you are measuring the right process indicators? What did you learn while leading the project? 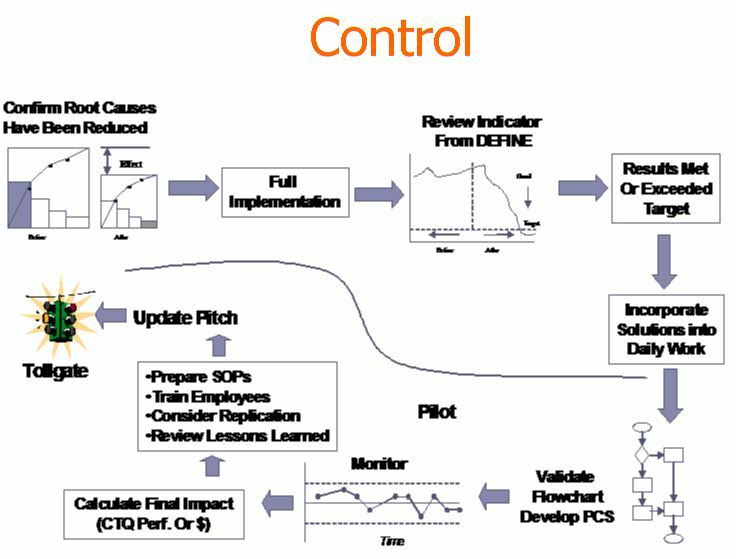 Depending on the problem and the process, a Control Chart showing the Pre-Intervention and Post-Intervention is a good way to demonstrate whether the changes made, made an impact or not. Part of the Control Phase Tollgate will be to also discuss what other problems might or should be considered next after the completion of you current project. 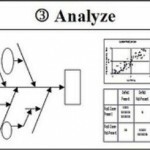 And, a cost/benefit analysis is also important to complete at this step.